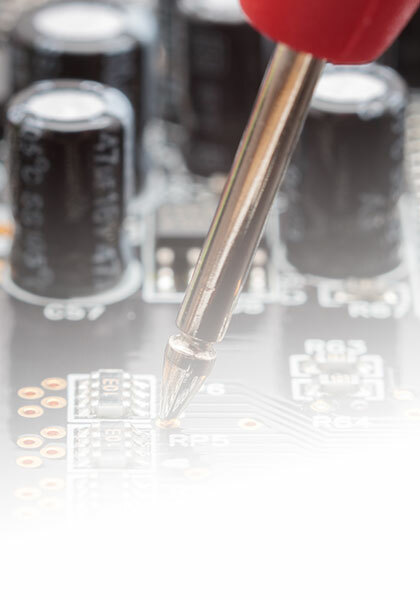 Custom Electronics Company has consistently invested in equipment and training to keep pace with today’s technology and is fully capable of handling the most advanced surface mount assemblies. We have two surface mount lines, with one dedicated to higher volume production using automated equipment and one for handling rapid completion of early stage prototype assemblies using semi-automated equipment and skilled labor. This approach pairs a customer’s job with the attention of a knowledgeable craftsman at a time when the design may still need more refinement and yet time is the most critical. Meanwhile, volume production can be handled at thousands of boards per month, including assemblies with multiple fine pitch, BGA, and LGA components. On the most complex boards, surface mount parts are often paired with through-hole parts in challenging ways. The surface mount line is structured to take advantage of our legacy strength in through-hole assembly to cost effectively handle medium volume mixed technology boards where automation would be difficult or impossible. For guidance on preparing a surface mount board for assembly, see our manufacturing inputs application note.